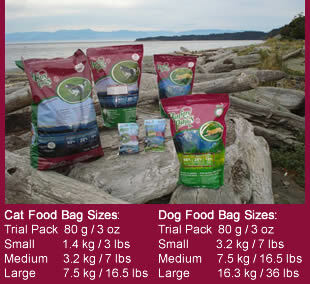 Feed Happy Paws fresh & tasty all natural foods to “your family friend”. NO Fillers: No Brewers (white) rice - No Ground Corn - No Wheat Grains - No Artificial or Natural Flavour Enhancers added or needed! • Holistic (Wholesome) Slow cooked, low temp, vacuum infusion system kills harmful bacteria - leaves most natural active Enzymes (extra Enzymes added at completion) - feeds naturally like 'Raw'. • New Zealand top grade free range Lamb meal - dehydrated - rich & chemical free. • No Wheat Grains, No Gluten - for pets who are intolerant or allergic to wheat grains / gluten! • Value added - more meat & fish protein than most pet foods and at least 30% savings from many other comparable Holistic foods! • "LESS STOOL" - No Fillers! - i.e. Cellulose, Peanut Hulls! - No Ground Corn! - No Wheat Grains! - No Chemicals! - No Artificial Colours! - No Artificial Flavours! • All Happy Paws bags are date stamped to ensure freshness - your assurance that it's always Fresh, Healthy & Tasty for our pets! We are very pleased to be associated with our manufacturer who has state of the art equipment, the highest quality control and highest grade inspected ingredients. This, combined with qualified personnel, produces our 'superior' food for Happy Tails families' best friend! In 1999 the manufacturing plant licensed to produce nutritious Happy Paws became the first plant to install a high tech 'Vacuum Infusion System' which maintains vitamin potency and natural active 'enzymes' so our food feeds naturally like 'Raw' - vitamins & enzymes would be destroyed by high temperature cooking! The newly updated plant also has an 'Infrared Analysis System' to monitor the moisture, protein, fat & ash contents of our food. This infrared system allows the Quality Control System to continuously display these all important content factors. In turn this allows the quality control staff to adjust the manufacturing process, to hold these critical parameters, with narrow tolerance limits! The production plant in Chilliwack, BC is one of the two Category #3 pet food facilities in Canada and USDA (USA) and EU (Europe) approved. Happy Paws Manufacturer is a member of the 'Canadian Food Inspection Agency' (CFIA). Our holistic ingredient list meets and/or exceeds the Nutrient Profiles of the AAFCO.